In 1978, an inventor by the name of Tomas Jake Lunsford took out a patent on a new package design called the Clamshell, a type of plastic blister packaging. Plastic blister packaging is pre-formed, plastic packaging, mostly used for pharmaceuticals, office supplies, electronics, hardware, cosmetics, etc. The primary piece of any blister packaging is the cavity, that is usually contoured in the exact shape and size of the item that is being packaged. Tomas Jake Lunsford built upon this idea, and created a more modern, hinged blister packaging. A single sheet of plastic forms a bowl-shaped top and bottom, with a thin, flexible hinge connecting the two, creating a durable shell. The name, “Clamshell”, was adopted from its sea-faring counterpart, to which it bears more than a passing resemblance. Clamshell packaging is popular due to its multi-purpose use and protection against contamination, which is often present in store and restaurant storage areas. It has been a universal choice among manufacturers and restaurateurs for decades, because of its ability to clearly display products while minimizing theft and damage. Clamshells also decrease shipping costs and reduce the need for storage space, as they nest easily inside each other. In the late 2000s, due to concerns that Clamshell packaging was creating excessive plastic waste, the packaging industry began producing more sustainable alternatives for plastic blister packaging, which kept the beneficial design that manufacturers love. In addition to protecting the environment, sustainable products also have the added benefit of being a better base for advertising graphics, in comparison to the traditional plastics. Most Clamshell packaging comes with self-locking tabs, snaps, or something called a friction fit. When securely sealed with heat, plastic Clamshell containers are tamper-resistant. While intentionally difficult to open at times, you can rest easy knowing that your products will be safe. With a variety of sizing for anything from thumbtacks to sandwiches, Clamshells are a favorite of several businesses. Clamshell packaging not only protects your products, but it can also be used as an alternative to Tupperware, carryout containers, and baskets. A popular example can be seen in traditional strawberry and other supermarket containers. Clamshell packaging can be seen in many stores, each using the container in a way that showcases its inventive and multi–purpose uses. 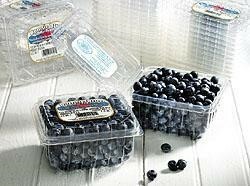 If you are looking for new packaging for your business, the Clamshell has revolutionized store packaging. It displays your product, keeps it safe, and is very cost effective; three perfect reasons to try out SouthPack Clamshell packaging today!